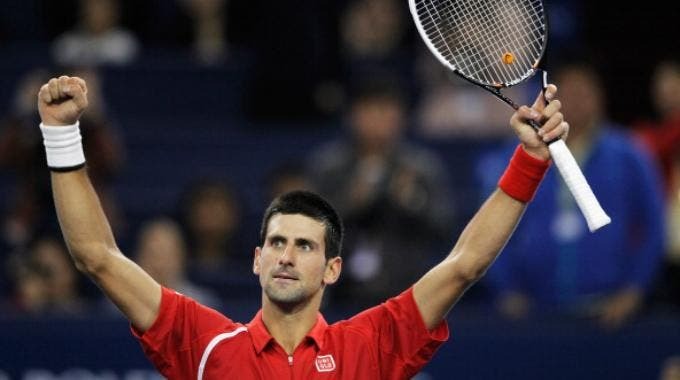 It needed probably the most amazing Djokovic of the season to beat Andy Murray and so it was in Shanghai's final, probably the best final from this year's Master 1000. The first set was played below the expectations with both players serving avaragely bad, but in the end it was Murray to find the right pace first and take the first set 7-5. The second set started with a more common plot for male tennis, with both of them holding their serve with no problems until the 7th game, when Murray again could raise his game first and with a couple of outstanding shots broke the Serbian serve and went up fast 5-3 with a compfortable hold. The wind seemed to be beneath the British's wings, while Djokovic looked rather annoyed by his own inability to substain the rally with Murray. Called to serve to stay into the match Nole found new energies and his game seemed just to follow. From that moment on every point was simply amazing, both players fought so hard and tried every weapon of theirs to outlast the rival. Nole held and then it was all on Murray's shoulder, he would go up in the score and even had Match Points, but everytime the situation looked desperate, Nole had an amazing solution to it and after having a few Match Point saved, at the first chance he broke back. The momentum seemed to slowly change in favor of the Serbian when he held in the following game to go 6-5 up, but Murray didn't let that happen and with a solid hold pushed the set to the tie-break. If you missed it, make sure you can find a way to watch this tiebreak, as it was one of the most intense tennis moment of the whole season. 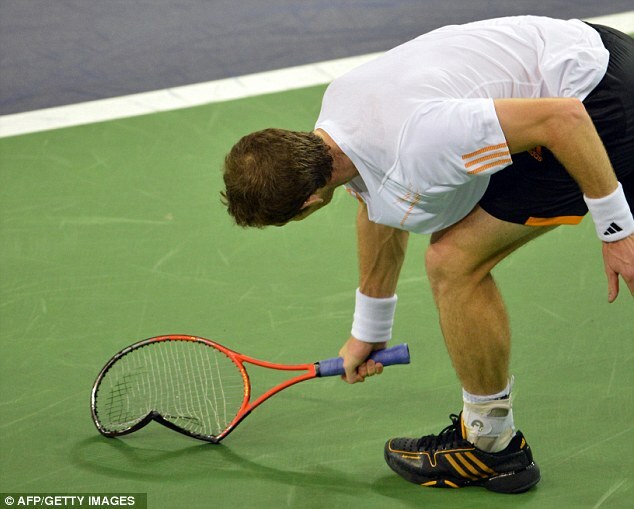 Murray started slow and found himself trailing of a mini-break immidiatly, but before the courtchange it was all tie again. Djokovic seemed to be a little too worried of Andy's return and tried to ask more to his serve, but it ended up not as expected and Murray in a eye-blink was 6-4 up. But with all his corague and talent Nole found again a way out of this and got back to track. Both didn't want to let the other winning and tried everything in their hands, but last it was Djokovic to take advantage of a slightly too passive Murray, closing the 2nd set tie for 13 to 11. The third set was less close than the score suggests, as Murray looked very frustrated, while Nole knew he had just to go with the flow, if that can ever be said about such a high-quality match. The Serbian found back his serve and didn't give any chance to the Scottish break him, while he could take two breaks away from Andy to close the match 5-7 7-6(11) 6-3. As predicted the title of this year's WTA tournament in Linz has gone to Vika's palmares and in straight sets too, but what was surely unexpected was the way she had to go in order to hold the trophy. Vika started very solid and in a very few moments found herself up of a break serving on 2-1 for her. Goerges tried to produce her game, by hitting hard and trying to move around Azarenka, but Victoria looked too solid from the baseline and wouldn't lose any step from the court, no matter how hard Julia was hitting. Two breaks decided the first set giving it to the world number one for 6-3. Azarenka then really pushed on the throttle and outhit the German number 2 giving her no way out until she got a 5-0 lead. Goerges knew she had to do something more to avoid the bagel and down of a Match Point on her own serve could find the heart to go more for her shots and with a sudden and unexpected reaction shocked the world number one and step by step, winner by winner she made a thounderous comeback. She had to save 4 match points on her way back, but after twenty minutes of an unbelievable tennis Goerges was serving to stay in the match, this time with no breaks of advantage for the world number 1. Had she hold, they would have been tie again, but maybe the huge effort it took her to comeback, maybe a little insecurity in the wrong moment or more likely a new assoult of the world number 1, made her arm tremble and at the 5th Match Point Azarenka could secure her first title in Linz, the 6th of the season. Now Vika will rest up a little after the amazing Fall she had, in order to consolidate her number one status in the Year End Championships of Istanbul.